What is the difference between LED car bulbs and halogen bulbs? This type of car bulbs is newly developed in the automobile industry, but they are very famous because of the fact that they are able to create extremely white light. The LED car bulbs are also considered by many people to be more efficient than most of the other kinds of car bulbs. This is due to the fact that they often have a long life span and they often require a low wattage to operate. The LED car bulbs often work is a very different way to other kinds of car bulbs like Halogen bulbs that work with the help of a filament. LED car bulbs often work by transmitting current through a semiconductor to generate photons. The transmission of currents through a semiconductor will result in the motion of electrons through the semiconductors to produce white light. This process often happens very rapidly (about thousands of times per second) and this is how a continuous white light is generated. Since the LED bulbs do not operate with the help of a filament, they don’t exactly have parts that can wear down over a period of time. This is one of the main reasons why they have a much longer lifespan than Halogen bulbs and Xenon car bulbs. LED car bulbs are not very common on the road these days as they operate in a different way to Xenon car bulbs and Halogen bulbs. They often require to be cooled from the back of the bulb and the LED car bulbs are often designed in a different way. In recent times, LED car bulbs are being integrated in various ways into cars. One of these ways is the DRL (Daytime Running Lights) which work by using the LED technology as a result of its long life span and impressive style. However, the cost of developing LED car bulbs is higher than the cost of developing Halogen bulbs as a result of the fact that the assembly of LED car bulbs is often harder to design and more complex than that of Halogen bulbs. LED car bulbs are often capable of generating more focused rays than the Halogen bulbs. Although LED car bulbs do not often emit heat from its lighting process, they have been said to generate heat underneath the emitter. This complication can sometimes cause a potential risk to the connectivity and adjacent assemblies. And, this is why the LED car bulbs often come with a cooling system in the form of a heat sink or fan to prevent the bulb from overheating. This is also one of the main reasons why LED car bulbs are often physically larger than Halogen bulbs which can sometimes make it hard to put it in a headlamp housing that is conventionally designed. The ability of LED car bulbs to generate white lights is the main reason why it easy to alter the color of the car bulb by changing the physical properties of the semiconductor. Halogen car bulbs often require a hotter burning filament it be able to get the same effect. Halogen car bulbs are considered to be the most popular and widely used car bulbs in present times. This is because of the fact that they are very cheap to manufacture and are easy to replace in most cars. Halogen bulbs often come with a filament that is made out of the element, tungsten and filled with a halogen gas (hence the name Halogen bulbs. The approximate life span of a Halogen car bulb is about 1,000 hours depending on the external factors it is exposed to. One of the main disadvantages of the Halogen bulbs is that they often use too much energy. The principle of work for the Halogen bulbs is that it is made up of high-temperature resistant glass that contains a mixture of two gases (Argon and Nitrogen) and a filament made of tungsten. The bulb generates lights when electricity is passed through it and it heats up to about 2,500 Celsius, which produces a luminous glow. When the life span of the Halogen bulb is over, the tungsten present in the filament will evaporate and leave its deposits on the gas that will finally make the filament to shatter. This is the reason why the Halogen bulbs often have a high temperature when they are working and the amount of heat coming out is often referred to as wasted energy. It is only legal in many Nations to have a car bulb that has a power limit of 50W to 60W. This power limit is as a result of the amount of power the light generated can sometimes attract. Halogen car bulbs often require more power to be able to generate a luminous efficiency for brighter light and this is one of the main reasons why the LED car bulbs often have about ten times more luminous efficiency than Halogen bulbs. How to find a good LED auto bulb manufacturer in China? One of the largest LED products manufacturers in the world is China and it has been known to supply the demand of LED car bulbs all around the world. However, if you still want to find a good LED auto bulb manufacturer in China, you will have to carry out some research to find the necessary information about LED auto bulb manufacturers in China. Edopto, Founded in 2001, Zhenjiang E.D. OPTO Electrical Lighting CO.,Ltd from the very beginning as a small manufactory specialized in automotive Halogen bulb and filament bulbs. After 3 years development, we formed a bigger factory in LED car bulbs industrial area. The founder Mr. Cai who has been working in the automotive lighting field since 1994 decided to extend our products line. 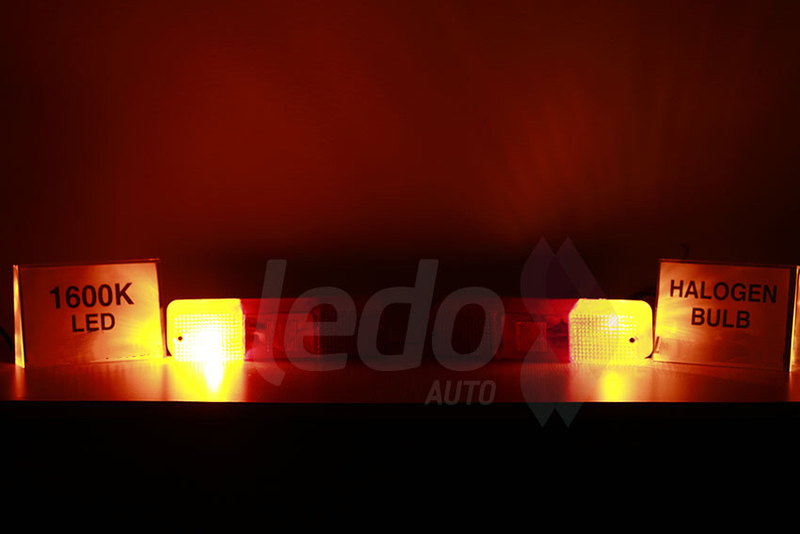 In 2004, We begin to produce automotive LED bulbs. How many lumen does a LED car headlight bulb really have?